The Pentre Oak 2-Drawer Double bed is a handy and aesthetically pleasing way of combining storage space with a stylish bedroom look. 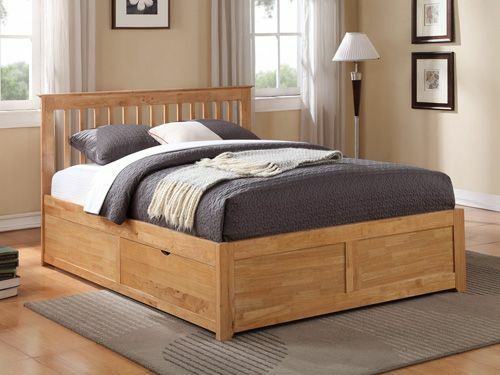 Is it constructed from hardwood and finished in either a pleasing oak or classic white colour. 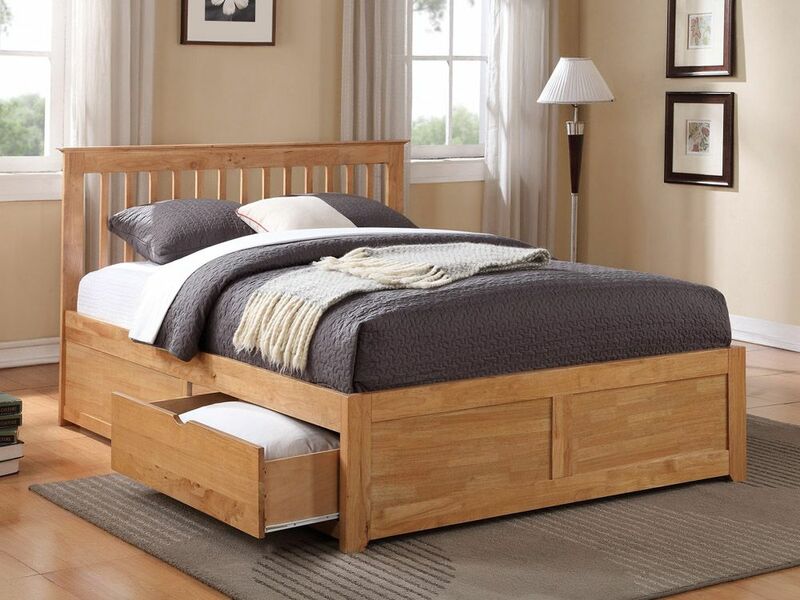 The high shaker headboard carries vertical uprights and a strong top plinth. These work together to create a traditionally-inspired bedroom look which suits most interiors, as well as providing adequate support at the top end of the bed. 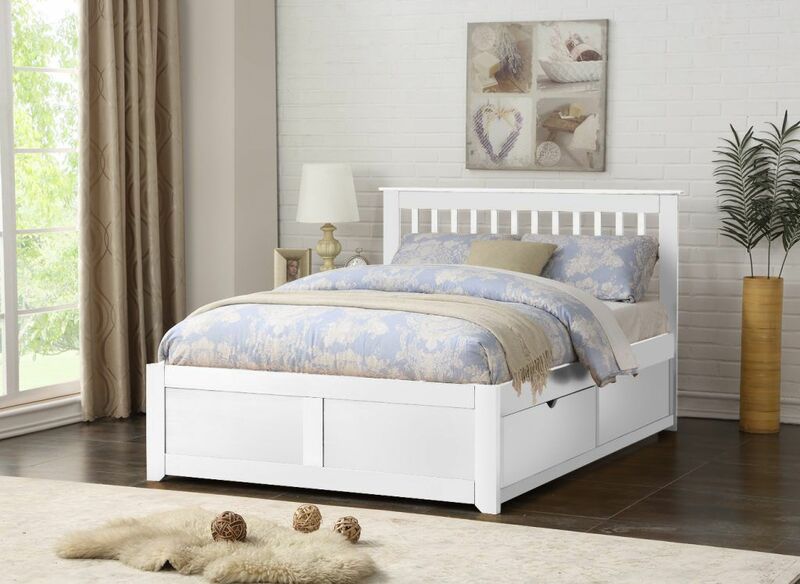 With side-drawers disguised into the side of the bed and a matching panelled foot end which mirrors the shape of the drawers, this bed is a clever way of making additional storage cleverly blend into your room.